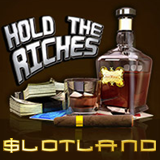 Slotland has just added the Hold the Riches slot, another premium slot game from its sister site, WinADay. 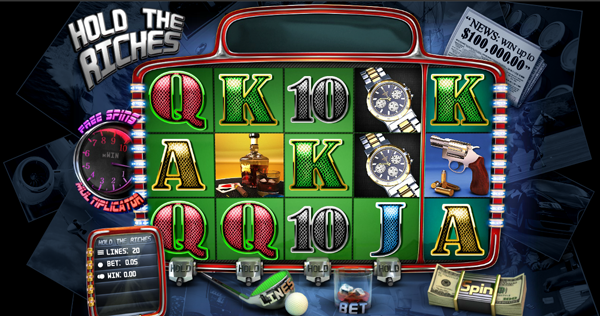 Hold the Riches has two special features that players have told them they love: free spins and a hold button. The new game celebrates the good life with images of yachts, private jets, jewelry and vintage cognac spinning on its reels. Until Saturday, Slotland is offering a choice of freebies and generous deposit bonuses to try the new game. Hold the Riches is a five reel video slot with twenty pay-lines offering two exciting bonus features: ten Free Spins with an increasing win multiplier and a unique Hold feature. You can bet from $.05 to $.50 per line. The Free Spins feature that gives you more playing time for their money and a chance to multiply their winnings. Three Free Spins scatter symbols trigger ten free spins. With every spin the Win Multiplier increases by one – up to 10x on the last free spin. You can choose to hold symbols on any of the first four reels for the next five spins. The ability to hold symbols with higher payouts adds an element of strategy to the game. Slotland will be introducing more WinADay games during 2017. Next up is Lost World, a dinosaur-themed game, expected in February. At least one previous deposit required to be eligible for freebies. May be used twice. Valid for new Hold the Riches only. May be used up to 4X per day. Valid for any slots or progressive jackpot games. All bonuses are valid February 7 - 11 only. One of the first to offer real money online slot games, Slotland has a well-earned reputation for treating customers right. Most of its 47 real money slots and casino games are compatible with smartphones and tablets. Known all over the world for its unique slots and video poker games and friendly customer service, he trusted online casino recently celebrated its 18th birthday.